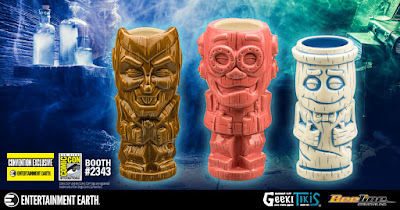 Your boring breakfast is about to become a lot more fun thanks to a Polynesian infusion from this sensational San Diego Comic-Con 2018 Exclusive Cereal Monster Geeki Tikis 3 Pack Set by Beeline Creative and Entertainment Earth! 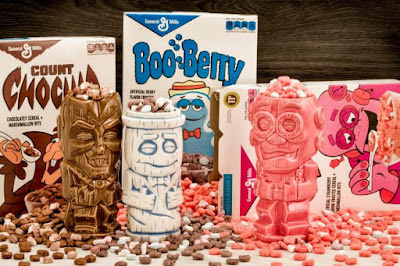 With this release, Count Chocula, Franken Berry and Boo Berry – three of General Mills’ beloved cereal monsters – are transformed into traditional Tiki ceramic mugs for every day use. Inspired by the cereal line introduced in 1971 featuring cartoon versions of classic movie monsters, these San Diego Comic-Con 2018 Exclusive Count Chocula, Franken Berry and Boo Berry Geeki Tikis appears in their signature colors and range in size from 18 to 22 ounces. 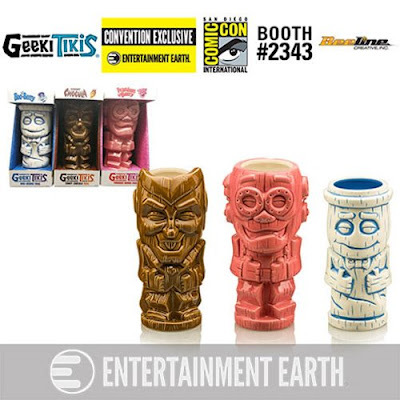 If you are attending San Diego Comic-Con 2018 next month, you can visit the Entertainment Earth SDCC booth #2343 to purchase both limited edition collectible sets. For those of us unable to attend Comic-Con, you can pre-order these killer pop culture Geeki Tikis now as a 3 pack set for $60 here.